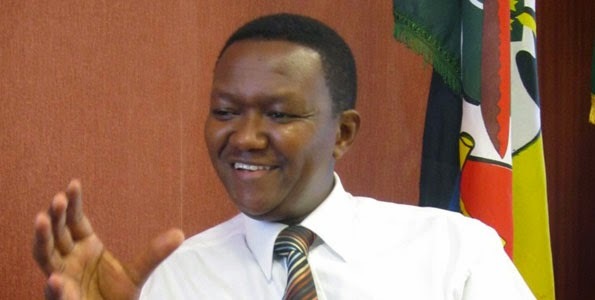 Things are heating up in the ukambani region after a section of the MPs and local leaders endorsed governor Alfred Mutua as their new political leader for the Kamba people. The leaders from three counties endorsed the governor as their leader to represent them ahead of the 2017 general election, however some few leaders loyal to former vice president Kalonzo Musyoka are still opposed to the move saying they still don't have enough confidence in the governor. Last week seven legislators from the region held a meeting in Kinyui Grounds in Matungulu Constituency, invited by the governor to commission a borehole and that's where the news was broken. This comes just three days after some members of parliament from the region declared Mr. Kalonzo Musyoka the true and undisputed leader of the Ukambani people. The Ukambani region seems to be divided but we will see how things roll.